At 91, Queen Elizabeth II of England is the longest-serving monarch in British history, having celebrated 65 years on the throne this year. A glance at her calendar is like entering a Jane Austen novel—with a multitasking heroine. Her list of duties includes attending banquets and jubilees, appointing officials to obscure high offices, and receiving and entertaining visitors including assorted ambassadors, archbishops, ministers, generals, chiefs of state and various excellencies. 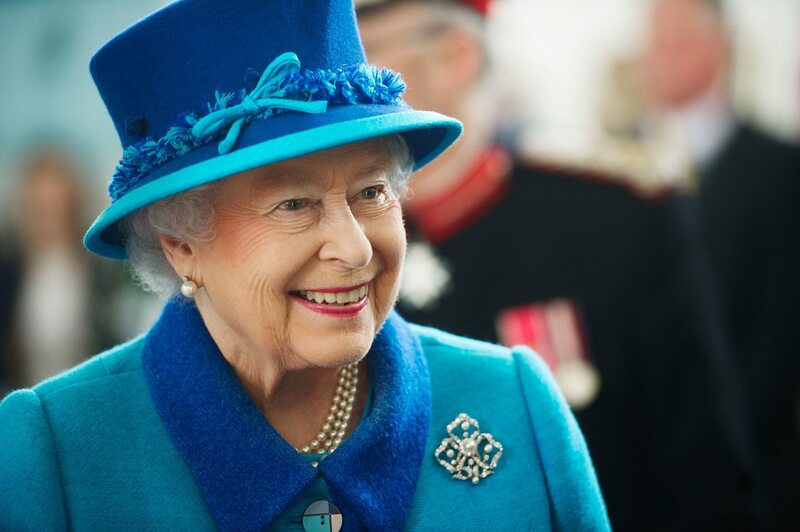 The Queen’s hectic schedule demands equal amounts of polite conversation and extravagant dining. So how does she stay healthy and fit? 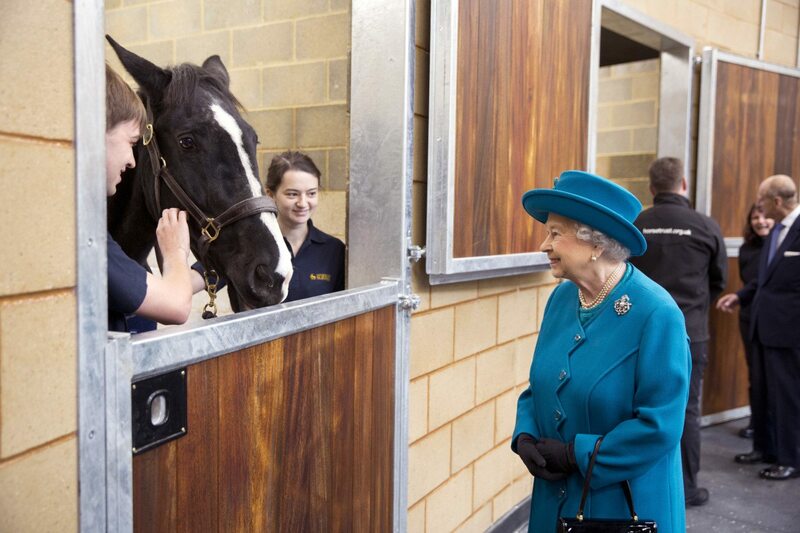 “The queen’s not really bothered about food. All she cares about are horses and dogs,” said her former chef Darren McGrady, who worked for Elizabeth and her family from 1982 through 1993. In fact, he says he is often asked why the Queen doesn’t “get big from eating all that opulent food”: five-course banquets of dishes with heavy sauces and elaborate mousses, followed by the inevitable glace ice cream. The nights when she’s on her own, she’ll stick to grilled or poached fish with some vegetables and salad, but no potatoes or starch. The Queen’s simply the kind of person who eats to live rather than living to eat, adds McGrady, and proof can be found in the kitchen itself. “No, no, no, we need the money to buy horses and saddles,” he’d be told. “The queen loves to eat food from the estate,” said McGrady, who worked at the five-star Savoy Hotel in London before getting his gig at Buckingham Palace. Home-grown vegetables, fish, pheasant, anything off the various estates—Balmoral, Buckingham and Windsor Palaces—is what the Queen enjoys most. As for her drinking, McGrady mentions all the “silly little pieces in the papers” in which he’s quoted as saying she has four drinks a day. It’s obvious how this mistaken impression came about, he said: his accent, his swift way of speaking and an imperfect phone connection. The Queen doesn’t have “gin in the morning,” as some reported, but “gin and Dubonnet” (a spiced aperitif, pronounced doo-BON-ay). Elizabeth and Philip’s eldest son, Prince Charles, “was organic before organic was even invented,” McGrady said. Each Christmas, the royal kitchen would get a gift from the luxury department store Harrods, a hamper of food filled with treats. One year, Prince Philip came into the kitchen and saw two hampers. He eagerly opened one, asking whether it was the Harrods’ hamper. “Actually, no, Your Highness, this is a hamper from the Prince of Wales,” responded McGrady. Seeing plums and vegetables and mushrooms, Prince Philip “slammed the lid down—’It’s bloody organic’—and he walked off,” said McGrady. 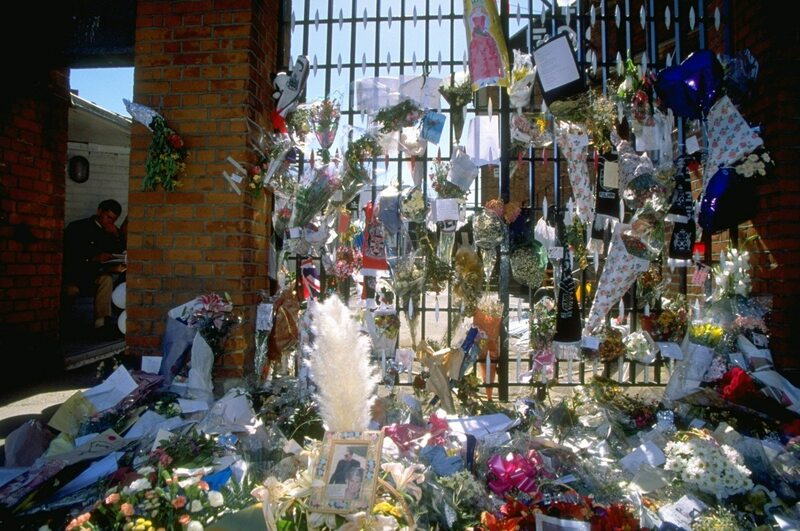 After Charles separated from Princess Diana, McGrady went to work for the princess, who had struggled with bulimia. “All my recipes changed when I moved to Princess Diana,” he said. He learned to cut back on calories and fat; her preferences included stuffed vegetables. “She’d never eat red meat; she’d only eat chicken or fish,” McGrady said. McGrady speaks of Diana with nostalgia and sadness. They met during the 11 “incredible years” he worked for the Queen, and then he worked for the princess until her death in 1997. The night of the deadly car accident, “I went to bed, and I had the food for dinner the next day for her return,” he said. “It was awful, awful, that next week. 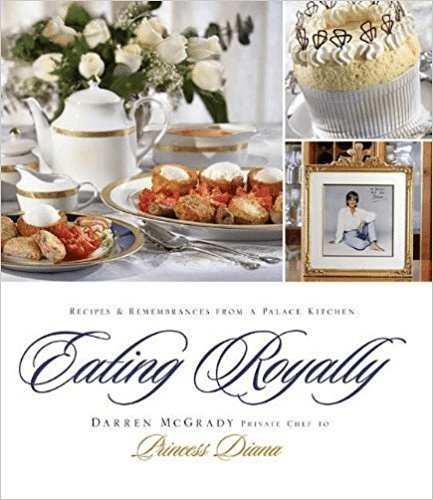 Princess Diana inspired McGrady to leave England and come to America, where he continues to work as a chef and caterer in Dallas. She is also why he donated the advances and royalties from his first cookbook, “Eating Royally: Recipes and Remembrances from a Palace Kitchen,” to the Elizabeth Glaser Pediatric AIDS Foundation. “Princess Diana inspired millions of people around the world, and she really did me, and in the years I worked for her, I saw the difference she made in people’s lives,” McGrady said. 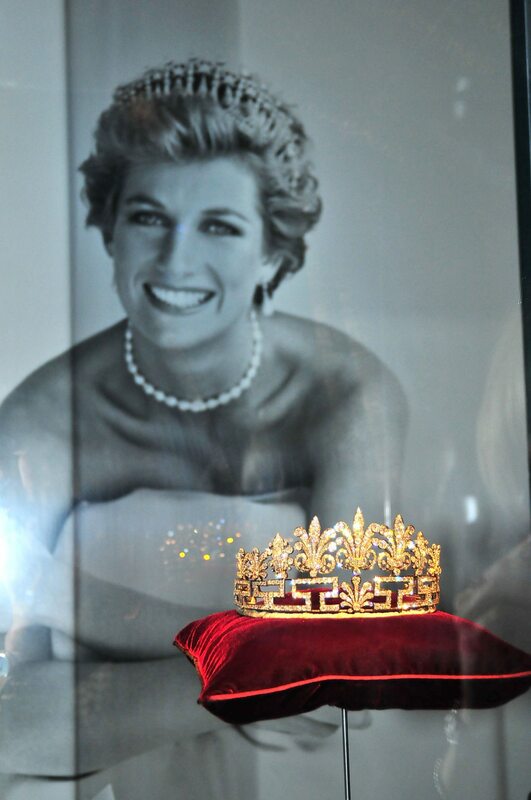 One special memory: the day after the 1997 Christie’s auction of Princess Diana’s clothing in New York. “The princess came into the kitchen; she was just wearing a white towel and robe. She’d just come out of the shower. Her hair was ruffled, and she just looked stunningly beautiful naturally,” McGrady said. Pointing to a piece of paper, she said, “Darren, look at how much money I made for charity just by selling a few of my old dresses.” She’d raised about $2 million to fight AIDS and breast cancer, McGrady said. “My second book, I have to confess—that one I am donating to my children’s college fund,” McGrady said. 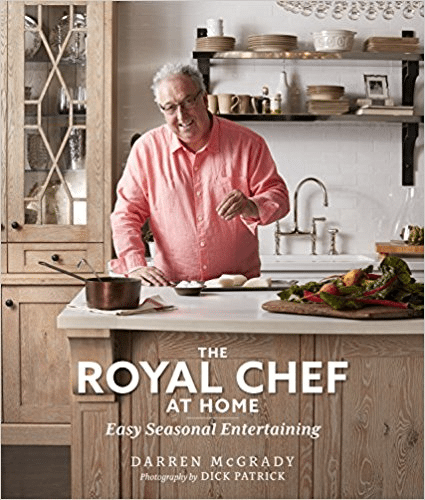 “The Royal Chef at Home,” featuring his own versions of American classics, will be published in September. Even after 20 years of assimilating to distinctly American tastes, his memories of the Queen remain fond. “It always made me laugh that, you know, one day, the Queen would be at an estate banquet, and she’d be eating off Meissen china from the late 1800s, beautiful hand-painted Meissen china, with gold and silver gilt knives and forks,” McGrady said. Another day, she would eat from “a fruit dish—it was a marble bowl with three horses in gold raised up, holding it, and they’re encrusted in diamonds, rubies, sapphires.” The gift from the Emir of Bahrain was valued at 50,000 pounds at the time, he said. Can You Spot The Queen In This Corgi Puzzle?